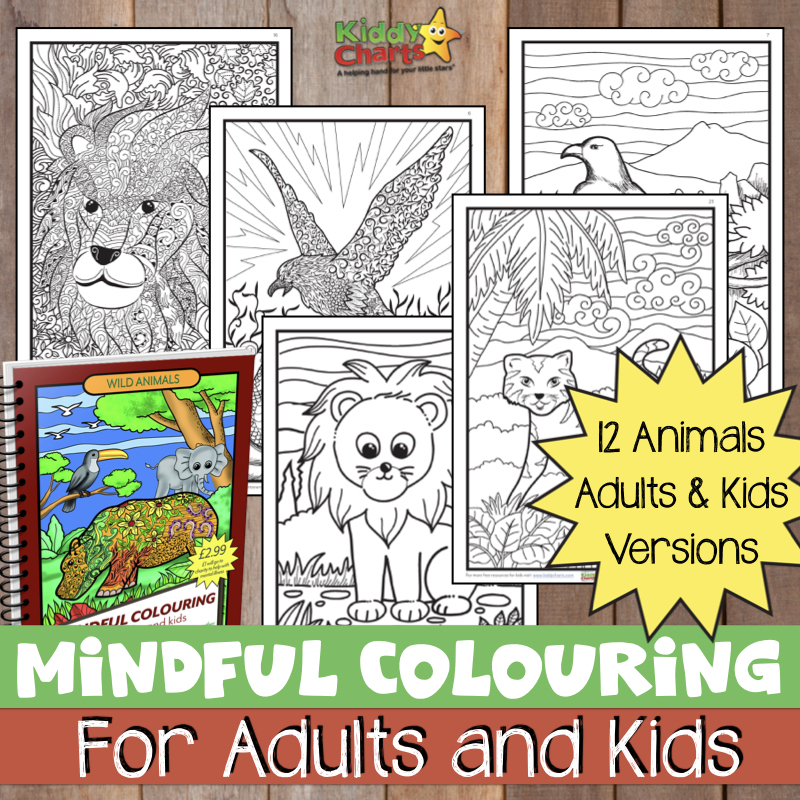 We love a bit of color therapy on KiddyCharts, and coloring pages for adults seem to be rather in vogue at the moment. 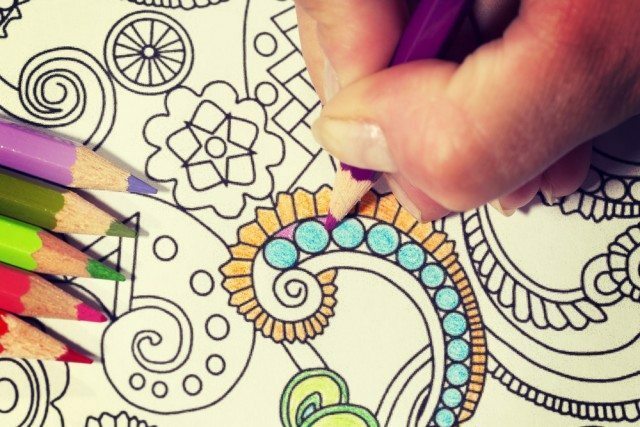 There is nothing like picking up a coloring pen and chilling for a bit. 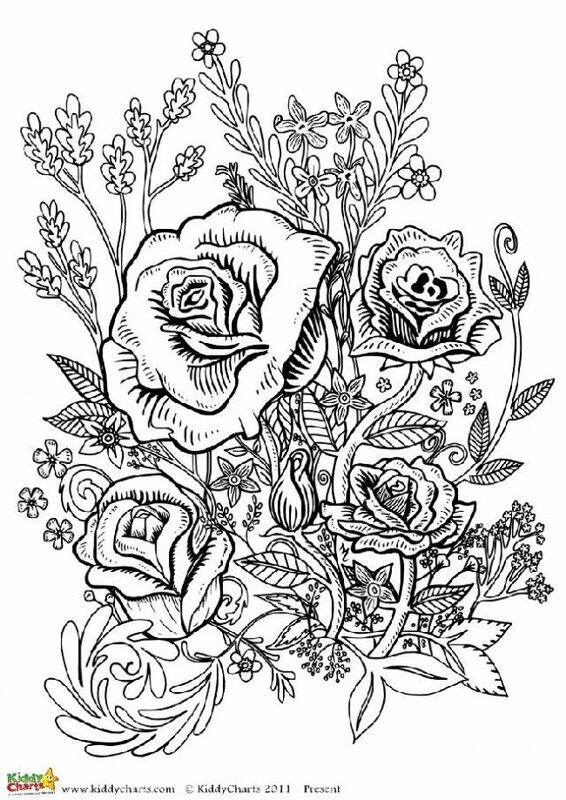 We have a wonderful treat for you today, four gorgeous flower coloring pages, which are perfect for adults to color in, but would also suit an older child. For example, my daughter would adore coloring them in. 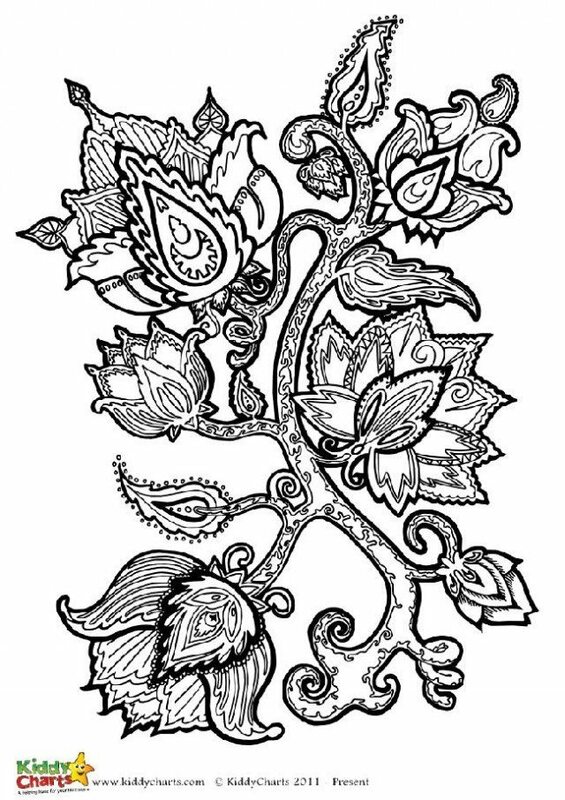 Tulip-like flowers, with lots of details to get your teeth into. 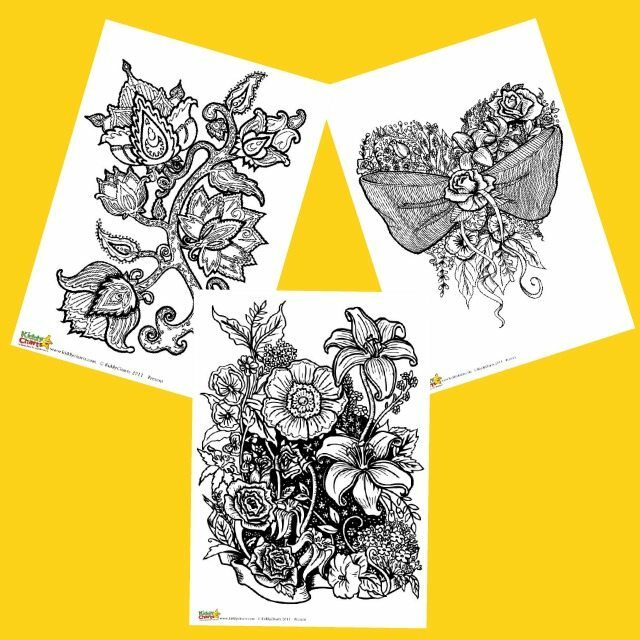 Here are each of the designs for you so you can take a closer look; if you click on any of these images, you can download all four designs. 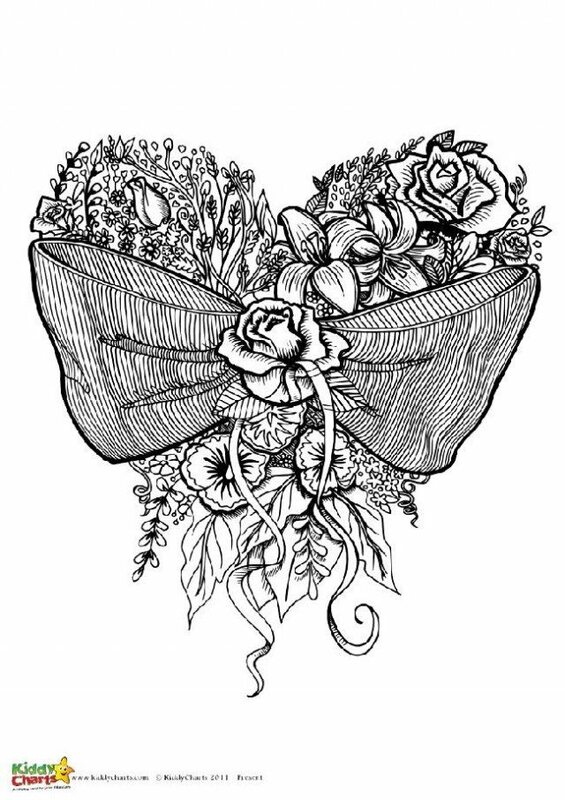 Collection of all the free coloring pages on the site. 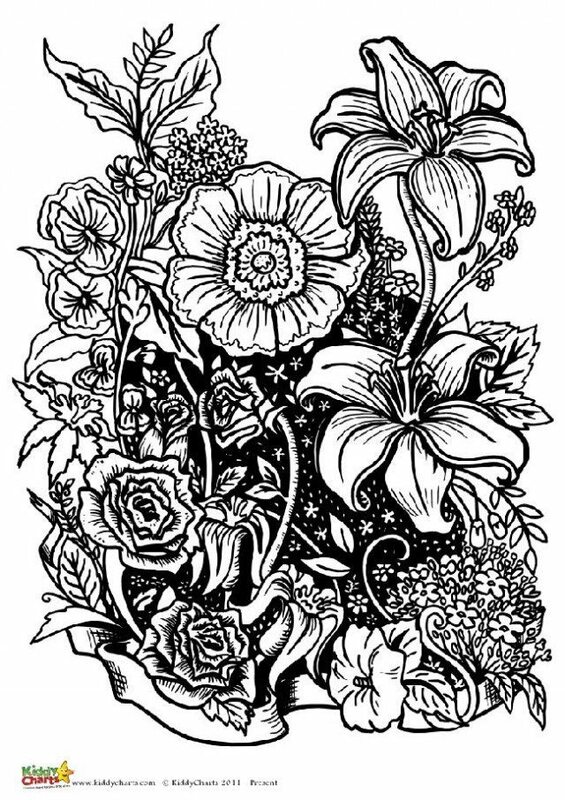 Another flower page from Crafts on Sea. 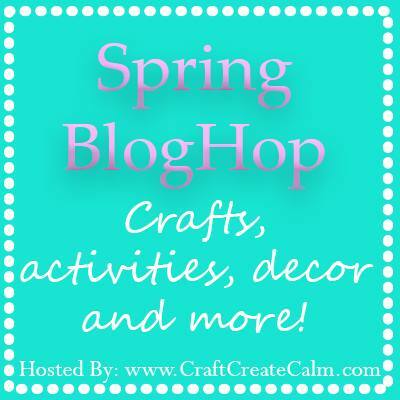 This post is part of a spring blog hop that KiddyCharts is taking part in. Do visit the other blogs involved, and share, comment and give some love to them. We hope you like them all, and discover some great new resources. beautiful collection. I like your post.